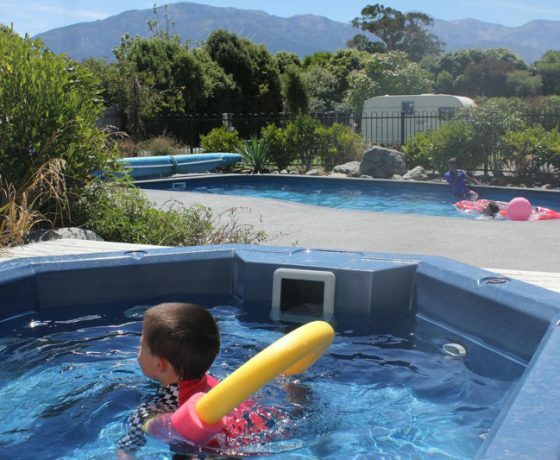 Alpine Pacific Holiday Park offers an excellent range of accommodation in the delightful town of Kaikoura. 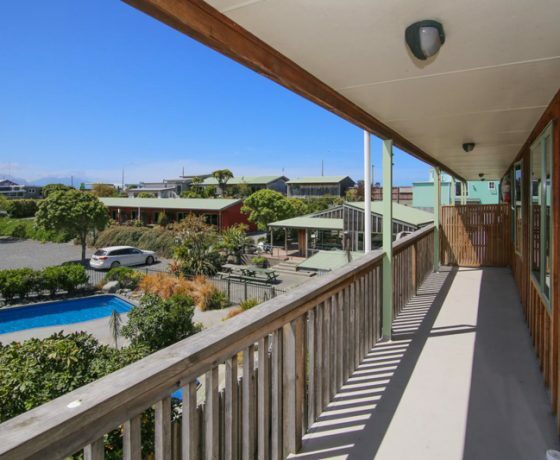 Few places in the world boast such natural wonders as those in this delightful seaside town. You will find yourself in a marine wonderland where you can whale watch, swim with dolphins, enjoy albatross and many other pelagic birds, visit the New Zealand fur seal colony, enjoy coastal and mountain walks, savour fine seafood dining at the many Kaikoura eateries, and so much more all from the comfort of your quality Kaikoura accommodation at Alpine-Pacific Holiday Park. 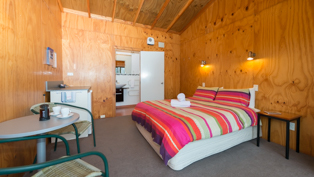 We offer an excellent range of accommodation styles, something to suit every style of traveller. 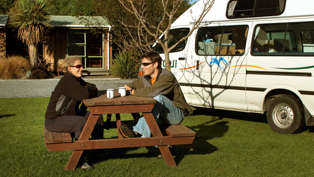 You can relax in quiet park-like surroundings in your Motorhome, Caravan or Tent. 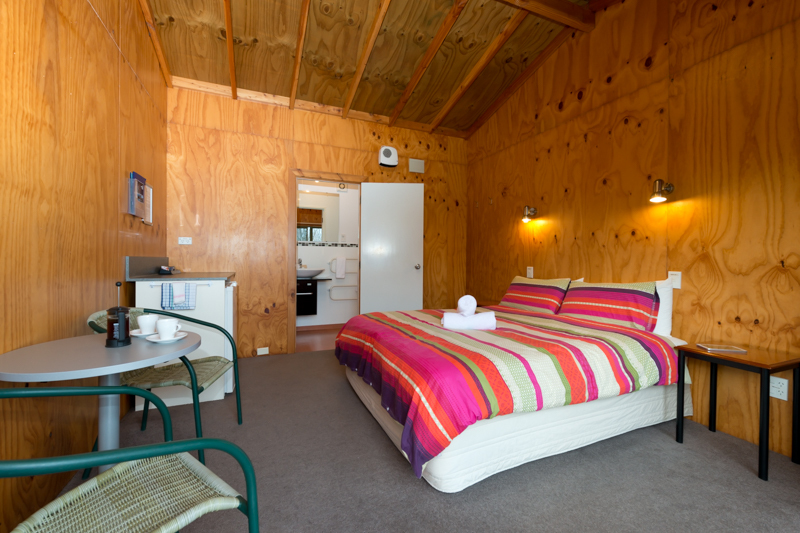 We also offer a great range of quality self-contained accommodation, including Motels, Ensuite(Bathroom) Cabins and Standard(Basic) Cabins. 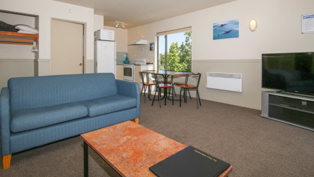 Assistance with booking any tours is happily given with local knowledge from our friendly and helpful staff. 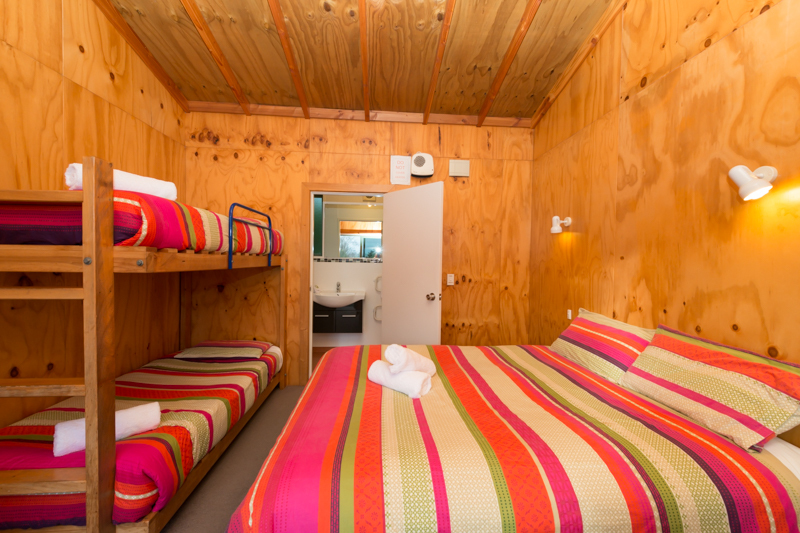 Our Holiday Park Standard Cabins offer clean, comfortable accommodation for Kaikoura budget travellers, backpackers and families. 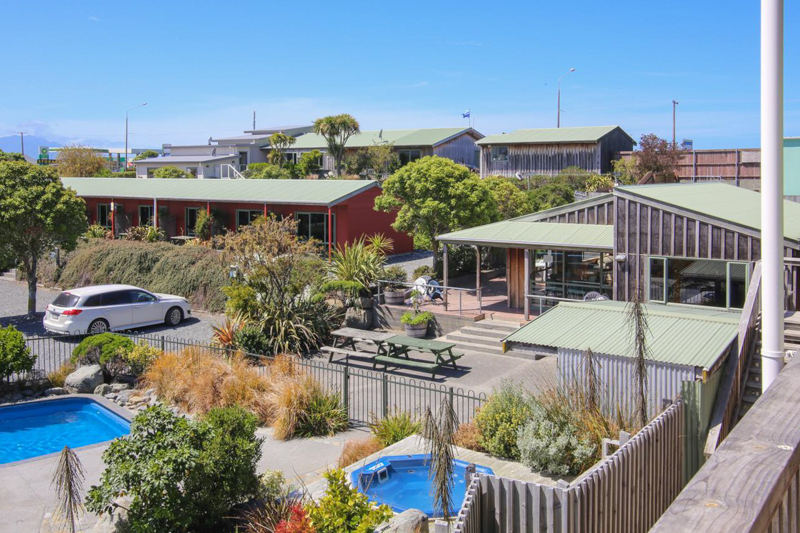 Enjoy the park facilities including heated swimming pool (summer) and hot tubs (year round) as well as the shared kitchen, dinning areas, bbq’s, showers and toilets. 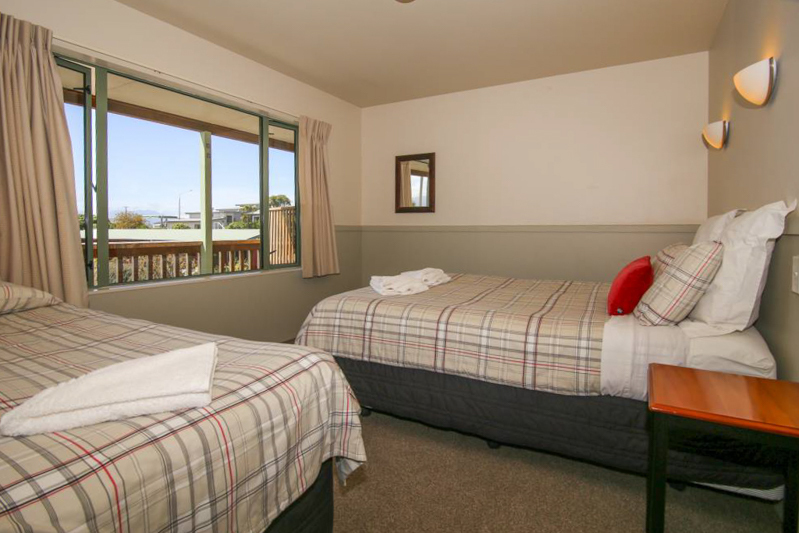 #1-5 Double bed and bunks sleep 2-4, beds have full linen provided, wall heater, mirror, 2 power points. small table inside and a sunny patio with table and chairs outside. 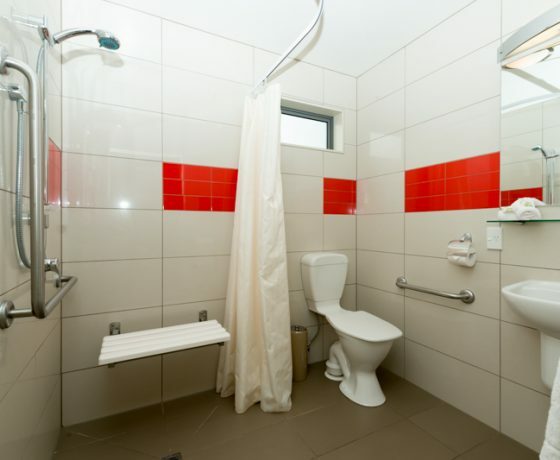 Use Park kitchen, toilets and showers. Towels, cooking and eating equipment is available for hire. 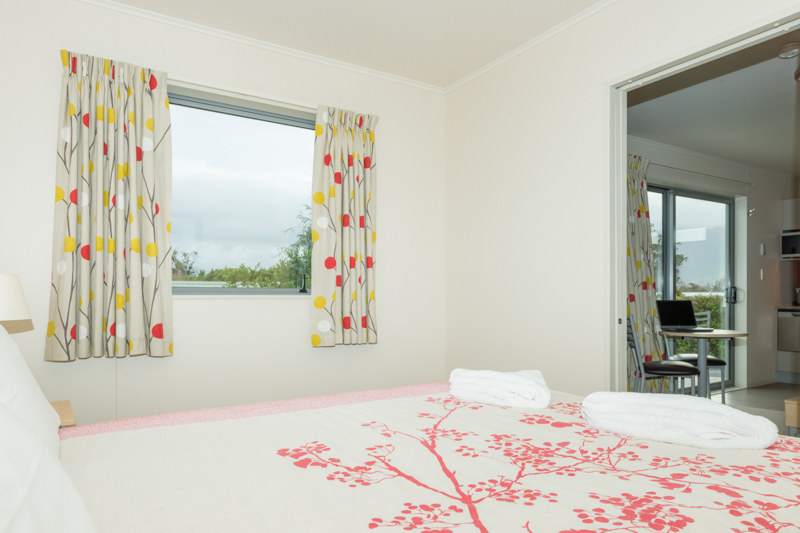 #6-7 Double bed and single bed sleep 2-3, beds have full linen provided, wall heater, mirror, 2 power points. small table inside and a sunny patio with table and chairs outside. 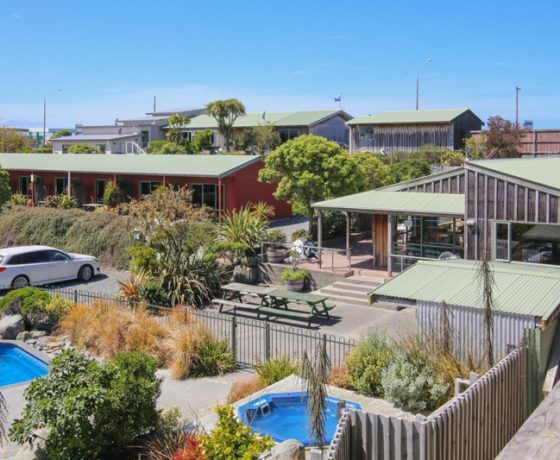 Use Park kitchen, toilets and showers. Towels, cooking and eating equipment is available for hire. 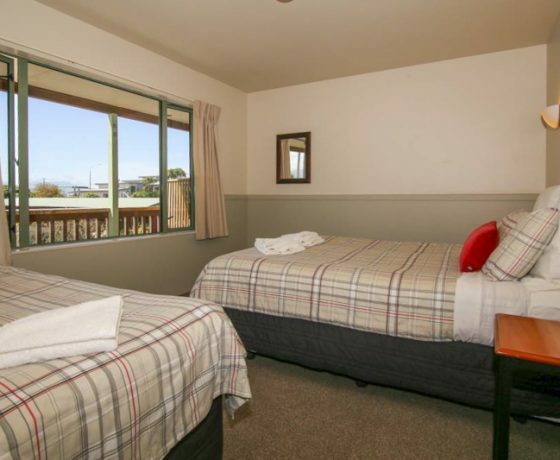 #8 Double bed sleep 2, bed has full linen provided, wall heater, mirror, 2 power points. small table inside and a sunny patio with table and chairs outside. 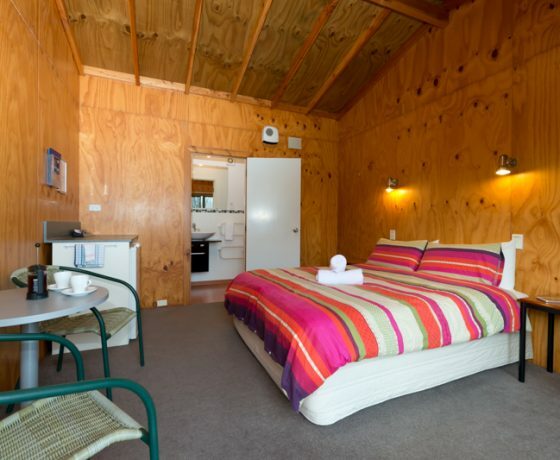 Use Park kitchen, toilets and showers. Towels, cooking and eating equipment is available for hire. 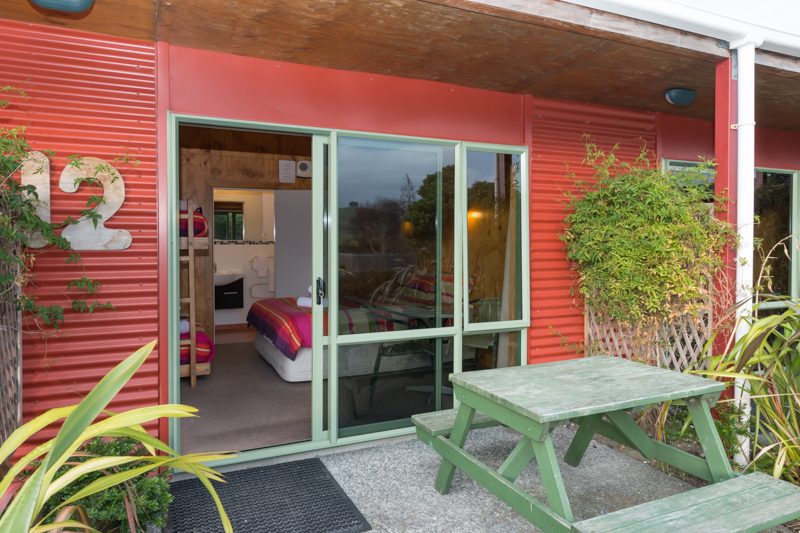 Max 4 persons, Double bed and Bunks in main room, available with or without bedding and towels, LCD TVs, fridge, electric jug, toaster, microwave, electric blanket, wall heater, heated towel rail, table and chairs, eating equipment. 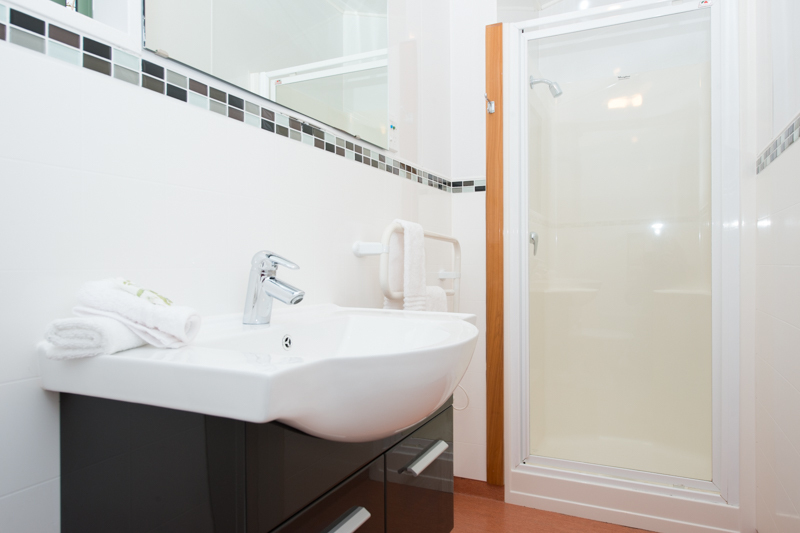 Bathroom has shower, vanity and toilet. Outside sunny patio with picnic table. 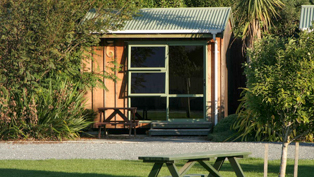 Cooking equipment available for hire – use Holiday Park self catering, shared kitchen. 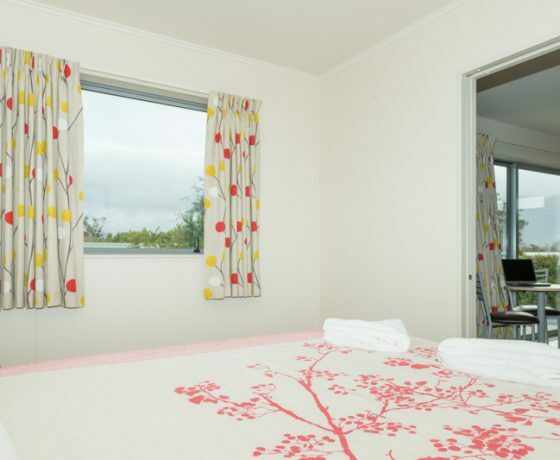 Queen bed and Single bed in main room, Kitchen with hobs, microwave, sink, fridge, toaster, electric jug, all cooking, eating and linen supplied, Bathroom with shower, vanity and toilet. 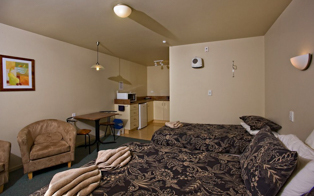 Hairdryer, Large 32″ LCD TV & DVD Player and iron. Dining table. 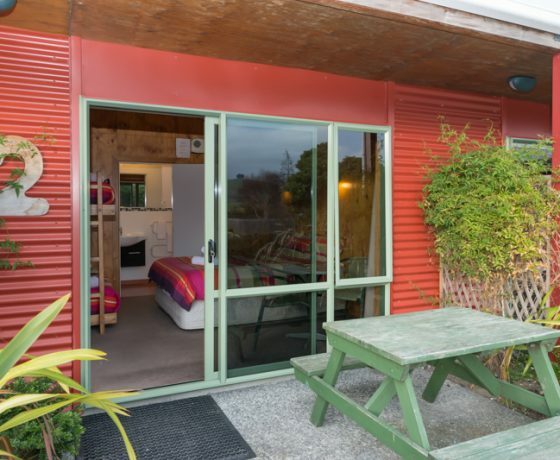 Double glazed, wall heater and electric blankets. 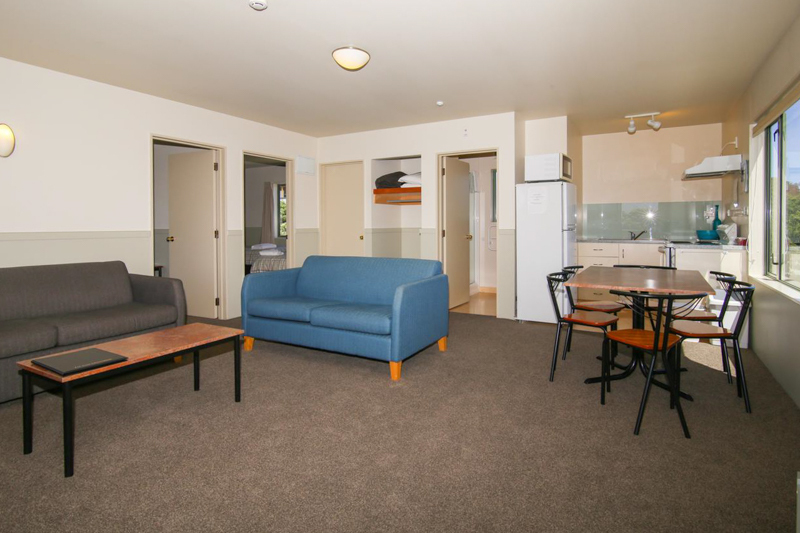 Queen bed in bedroom and a fold-out Couch bed in lounge, Full kitchen incl. Dishwasher, tiled underfloor heating in Kitchen and bathroom, iron, hairdryer, Large 40″ LCD TV with SKY & DVD Player, double glazed, wall heater, electric blanket. Wheel chair accessible. Sleep max 4 people. 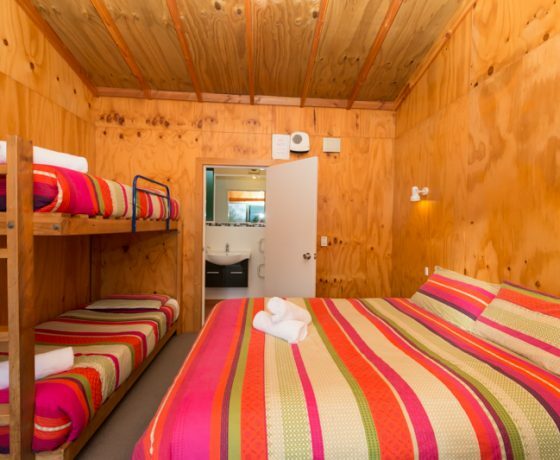 1st Bedroom has a Queen bed and a Single bed, 2nd Bedroom has 3 Single beds, Lounge has 2 Couches, 1 folds out to be a Double bed. 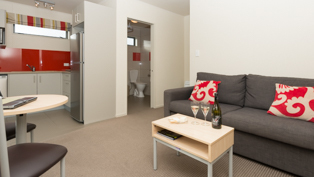 The unit has a full Kitchen and Dining table, the Bathroom has a Shower and Vanity, separate Toilet room. 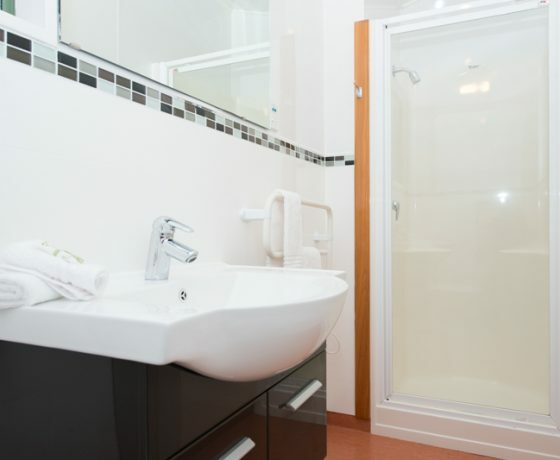 Underfloor heating in Bathroom and Kitchen, Wall heater, Electric blankets, Double glazed, Large 50″ LCD TV & DVD Player, Iron, Hair Dryer, Heated towel rail. 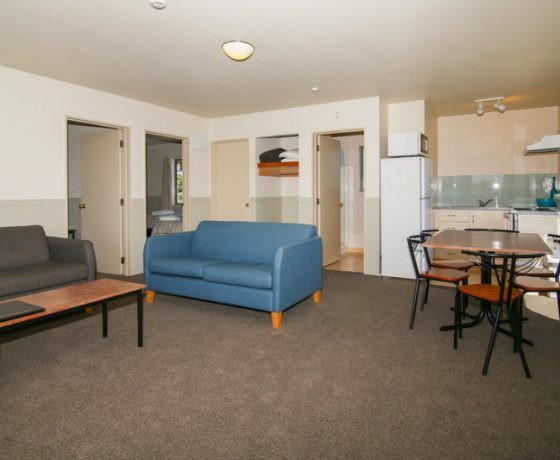 Full kitchen, eating equipment and linen supplied. 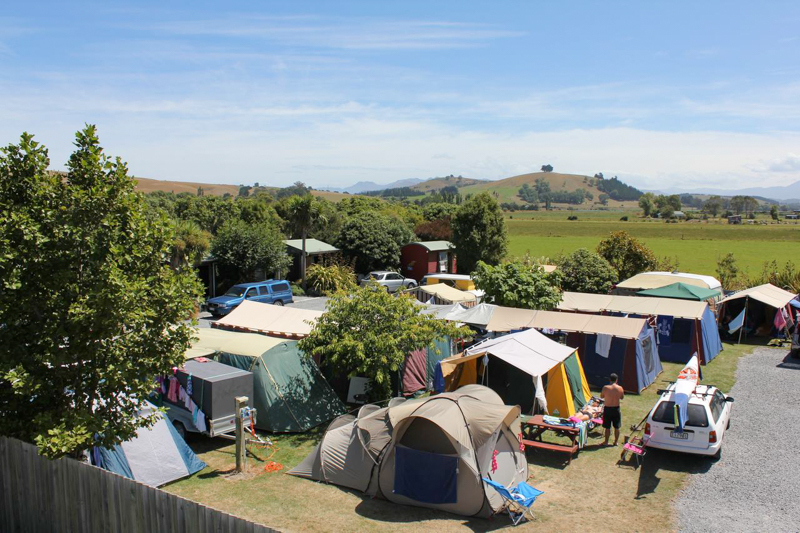 Alpine-Pacific Holiday Park offers both powered and un-powered sites for campervans, motorhomes / RVs and caravans as well as grassy camping sites for tents. 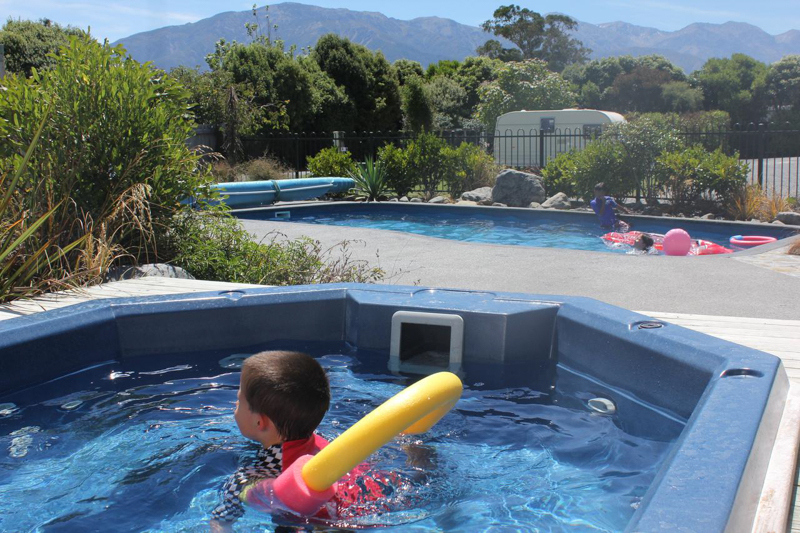 Lovely Kaikoura rural and mountain views and excellent campground facilities, swimming pool and hot tubs. Wireless internet is available throughout the motor camp. Dump station for motorhomes, RVs and campervans. 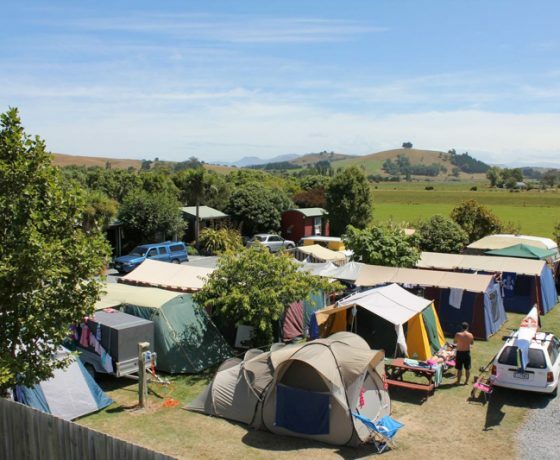 Powered sites for motorhomes, RVs and campervans. 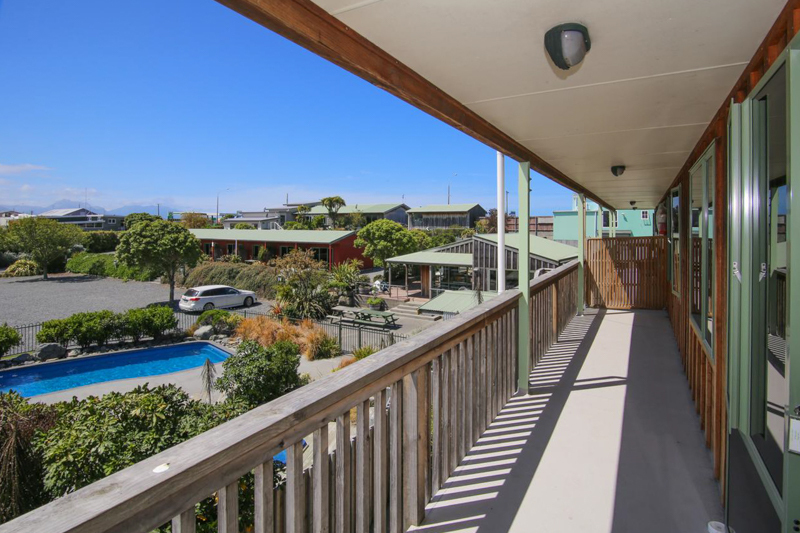 Grassey, level, sheltered and quiet sites with views to the mountains for your perfect holiday in Kaikoura, South Island, New Zealand. 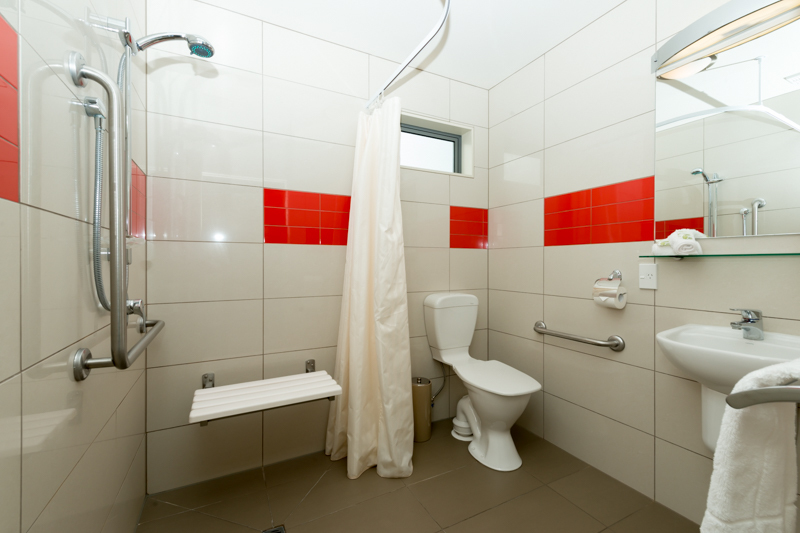 Share Park kitchen, toilets and showers. Dinning inside and outside. TV, Cooking hobs, sinks, oven, toasters, microwave, fridges and freezers. Cooking equipment available for hire.